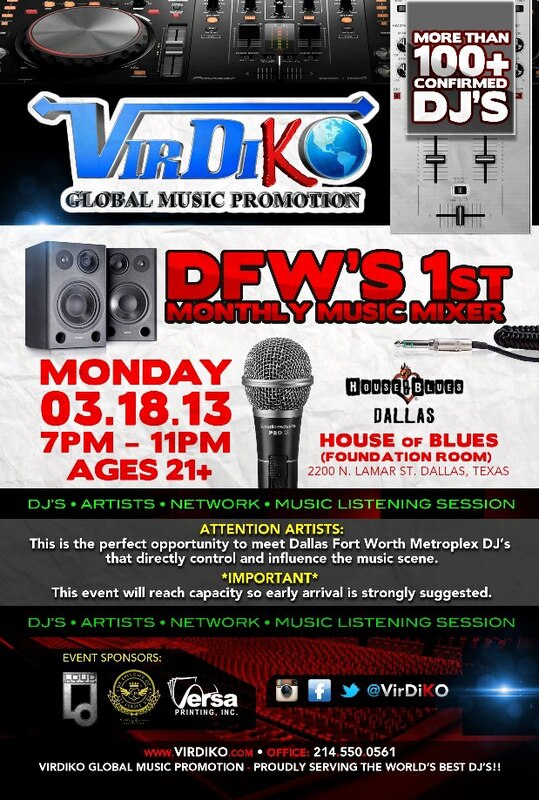 VirDiKO Global Music Promotion Hosts First Monthly Music Mixer at House of Blues in Dallas, Texas on Monday, March 18th, 2013. Disc Jockeys, Artists, Producers, and Music Enthusiasts Are Invited to Attend a Networking Mixer with Musical Experts Exchanging Knowledge with Amateurs and Professionals in the Industry. 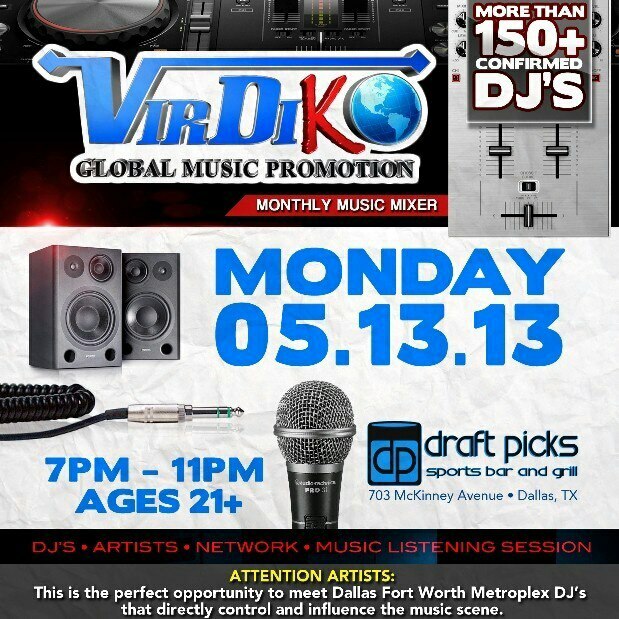 Dallas, TX, March 11, 2013 /Krista Kelley PR, LLC/ – – Based in Dallas, Texas, VirDiKO is the global music promotion company known for marketing and promoting music, models, and artists to key entertainment industry professionals around the world. Now the company is giving back to the music community where they first launched back in 2008, sharing a passion for music with a networking mixer March 18, 2013 at House of Blues (located at 2200 North Lamar Street, Dallas, Texas 75202). The sound source acquaints attendees with a bold lineup of tracks during a social listening session. Music specialists provide key knowledge to amateurs and professionals in an open forum for artists, producers, disc jockeys, and musicians. Confirmed with over 150 of Dallas-Fort Worth’s most influential disc jockeys from various coalitions, guests ages 21 and over have an opportunity to mingle and gain inspiration from disc jockeys maintaining a strong footing in the industry. VirDiKO Founder, “big daddie THE DJ,” a seasoned veteran disc jockey, is listed as one of the keynote speakers showcased at the event said to attract numerous on-the-fly artists and celebrities making their way from SXSW festivities. Attendees can expect to plug into valuable knowledge moving the industry forward, including information from equipment manufacturer representatives lending essential tips and skills. Doors open for musical tastes and talents at 7:00 P.M. until 11:00 P.M. Complimentary admission provided to disc jockeys registered at www.VirDiKO.com. All other guests are required to invest $10 to attend the event devoted to advancing talent in the competitive entertainment industry. 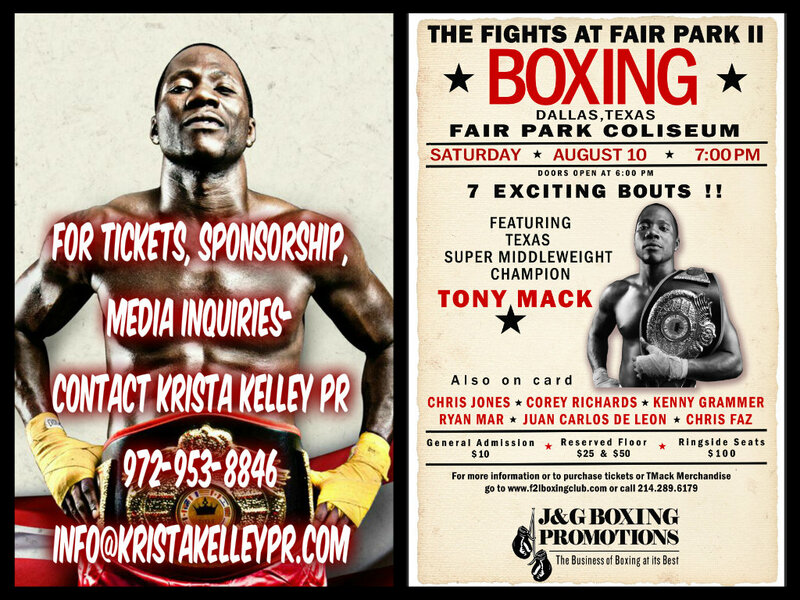 Sponsors include Versa Printing, Loud Graphics, and the Anthony Lawrence Collection. Music and Fashion Industry All-Stars Unite for a Tournament-Style Charity Basketball Game in Dallas, Texas. Teams Attract Fans and Funds with a Friendly Basketball Competition Dedicated to Raise Awareness for Domestic Violence and Aid in Recovery Through the Healing Power of Music. Dallas, TX, Jan. 18, 2013 /Krista Kelley PR/ – – Music and fashion enthusiasts are invited to attend a family-friendly event, Saturday, January 26, 2013 at the Tommie M. Allen Recreational Center located at 7071 Bonnie View Road in Dallas, Texas. DFW All-Stars Hoop’n for Hope Charity Basketball Tournament will tip-off at 12:30 P.M. with a strong finish at 4:30 P.M. Children under 7 are admitted free of charge, while older fans are encouraged to contribute a $5 donation for entry. Proceeds from the charity tournament aid in funding local musician and producer, Stephanie “VKEYZ” Riesdorph’s missionary trip to Uganda, where she will lend a personal voice of survival and recovery from domestic violence. Many of Dallas’ most respected artists, producers, deejays, musicians, and fashion designers are committed to pay it forward, forming a total of 4 teams to set the ball in motion. The lineup includes hit producer-J. Rhodes of 80’s Baby Entertainment, Joonbug of Fresh Kaufee, rapper Que P., Members of BrainGang, Dallas DJ Drop, Definition DJs, B-Hamp, Tum-Tum, Members of Prime Time Click, Ace Boogie B, Yung Nation, and many more industry favorites. DJ Q offers jams for generous fans, while YessurrFm and SoMetro Radio broadcast from the sidelines. Sponsors making this charitable event a slam dunk are Rico Slice with Fly Times Daily, Coffee Music Hub, NASAgang, Triple D Gear, Bizzbuilder.com, and the BWE Group. With a goal of $2500 for her missionary trip on May 18, 2013, Ms. Stephanie “VKEYZ” Reisdorph also encourages non-monetary donations of music, books, batteries, new children’s clothing, and products for women that will be distributed by her and other female missionary members of “All Women Marching for Hope”. To support the arts while raising awareness for domestic violence, visit www.Gofundme.com/HealingThruMusic . Pay It Forward and contribute to the “All Women Marching for Hope” and DFW All-Stars’ Efforts. This Thursday Night, House of Blues in Dallas Delivers an Entire Concert Spreading Holiday Cheer and Community Outreach. The Metropolitan’s Top Acts Share Their Gifts in the Heart of Dallas Influencing Fans to Give Back to the Cities Future Leaders Impacted by Poverty. The GIVE L!VE Toy Drive is a Charity Concert Benefitting Toys for Tots. Dallas, TX, Dec. 13, 2012 /Krista Kelley PR/ – – The Dallas House of Blues brings together the city’s top musicians, artists, performers, and DJ’s for the GIVE L!VE Toy Drive, a charity concert benefitting Toys for Tots on Thursday, Dec. 13, 2012. GIVE L!VE features producer/artist-J. Rhodes teamed with band MixxBreed and 80’s Baby Entertainment’s Hype-man/Songwriter-Klyrik. Expanding the lineup are A.Dd+, B. Hardy, 220 Music, Khleo Thomas, Chris Batson, DJ Lil Bro, DJ Niro, DJ Auditory, DJ Sober, and many more-all performing live for their fans while encouraging generosity and compassion for those in need. Guests (21 and older) in favor of fulfilling a needy child’s Christmas wish are invited to bring a new unwrapped toy with $10 for entrance. Access to the concert without a toy is $12. The Cambridge Room doors open at 8:00 P.M. and artists command the stage one hour following at 9:00 P.M. The final act wraps up at 11:30 P.M. The Cambridge Room is located inside House of Blues at 2200 North Lamar Street in Dallas, Texas 75202. Luxury Fanfare: Re-defining Luxury, Modern Luxury Magazine Partners with Espada Ultra Premium Tequila.